Thought I'd make a short and sweet post out of the information surrounding my forthcoming novel, EAGLE & CRANE. Here (to the left, or above, depending on whether you're reading this on a computer or on your phone) is the cover image, and below I'll paste the description that will appear in the jacket copy. Putnam/Penguin Random House has set a publication date of July 3, 2018, and I will be posting more about it here soon! Louis Thorn and Haruto "Harry" Yamada -- Eagle and Crane -- are the star attractions of Earl Shaw's Flying Circus, a daredevil (and not exactly legal) flying act that traverses Depression-era California. The young men have a complicated relationship, thanks to the Thorn family's belief that the Yamadas -- Japanese immigrants -- stole land that should have stayed in the Thorn family. When Louis and Harry become aerial stuntmen, performing death-defying tricks high above audiences, they're both drawn to Shaw's smart and appealing stepdaughter, Ava Brooks. When the Japanese bomb Pearl Harbor and one of Shaw's planes mysteriously crashes and two charred bodies are discovered in it, authorities conclude that the victims were Harry and his father, Kenichi, who had escaped from a Japanese internment camp they had been sent to by the federal government. To the local sheriff, the situation is open and shut. But to the lone FBI agent assigned to the case, the details don't add up. Thus begins an investigation into what really happened to cause the plane crash, who was in the plane when it fell from the sky, and why no one involved seems willing to tell the truth. 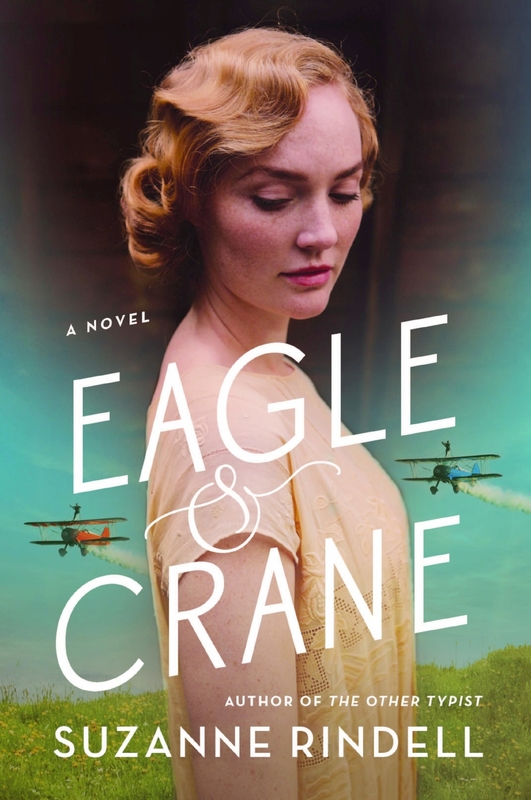 By turns an absorbing mystery and a fascinating exploration of race, family and loyalty, Eagle and Crane is that rare novel that tells a gripping story as it explores a terrible era of American history.